It doesn’t happen overnight, but eventually you’ll notice that every time you clean the tub and shower, the caulk or grout just never looks as clean as it used to. That’s because over time, due to minute cracks and wear, moisture finds its way in allowing mold and mildew to take root. Often, no amount of cleaner, baking soda, vinegar or bleach will get rid of it all. In some situations, it could simply be that the grout is beginning to fail. If you see pieces of the grout crumbling and falling out from between the tiles, the sooner you re-grout the better. Not only is mildew-stained or crumbling grout unattractive, it’s no longer sound. It will only continue to fail (as well as compromise the material beneath) unless it’s removed and replaced. An all too common cause of grout failure is the use of too much water when the grout was mixed. This results in weak grout joints that won’t hold up over time. When selecting new grout, it’s worth the couple extra dollars to buy a polymer-modified grout. 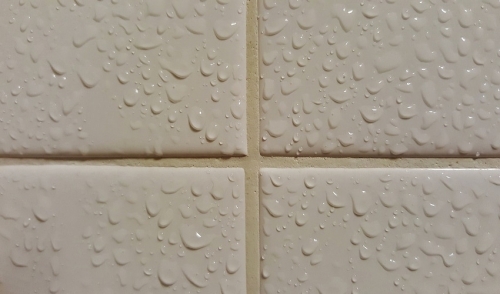 These special additives will improve the grout’s water resistance and make it more flexible, so it can handle temperature changes and minor movement without cracking or falling out. Many also include antifungal additives that can easily prove their worth over time. Another thing to look for when shopping for grout is brands that also offer color matching caulks. When buying a factory matched combination, you’ll already be well on your way towards professional results. Make sure you have the right tools for the job. For grout removal, be mindful of the material around your grout. Carbide-tipped tools are nice and sharp --and they will stay sharp for a long time, but they can also damage your tub or tile. The best bet is to use steel tools with replaceable blades. That way you’ll constantly have a sharp edge and the steel is less likely to damage your surrounding material. There are also grout removal tools that can be attached to a Dremel or similar power-tool that can easily grind away old grout material. Another option is a grout saw, which is effective, yet requires a bit more elbow grease. The important thing is to remove old grout to at least half of the tile depth down. Old caulk can be removed with a utility knife. To apply the grout, have handy a grout float (with rubber on the bottom) and a grout sponge. You’ll also need a couple buckets of clean water once you begin applying the grout. It is important to thoroughly clean away old dust and debris when you’ve finished removing the old material. Any residual dust can hamper both the grout’s and caulk’s ability to adhere to the tile. If your grout joints are less than 1/8 of an inch, an un-sanded grout is fine. For larger gaps, a sanded grout is recommended. While many pros are adept enough at this job, where they can mix larger batches of grout at a time, it is probably best to tackle this job with smaller batches. The reason being, that grout tends to firm up after around 20 minutes. Working methodically, one wall at a time, spread the grout at a 45° angle across the tiles. Be sure to pack in as much as possible from all directions, working out any air bubbles or gaps. Once all the joints are filled in one area, rake across the tiles with the edge of the float to remove all access grout. Be sure to move the float diagonally across the grout lines, so that the float’s edge does not dig into the joints. Once the grout has begun to firm up, it’s time to wipe away the excess with a well rung-out sponge. Use a circular movement, similar to applying wax to your car. Clean off the sponge by dipping it into one bucket and rinsing it in the second one. Wring out as much moisture as possible and repeat wiping. You’ll see the grout lines begin to take shape as you work the sponge across the surface. Be careful not to dig too deep. Again, using the car wax analogy, the tile surface will begin to haze over as it dries. After a couple hours, this haze can be removed using a soft towel, much like with your car. Let everything dry thoroughly for at least 24 hours before applying caulk. Caulk should be applied at joints where the tile meets the fixture (tub, sink, etc.) and on any vertical corners where one wall meets another, such as in the shower. For professional caulking results, run tape lines along the edge of where you plan on applying the caulk, remembering to quickly remove the tape before the caulk has a chance to skin over.